80’s Tv was the S#%T!! I grew up in the 80’s not an 80’s baby but definitely a large part of my childhood was spent there. Television was willing to take more chances on stories and concepts. Here are a few TV show intros that might take you back. If you are old enough. We all love Michael Jackson…well most of us do. I personally consider myself very knowledgeable on MJ recordings and I have compiled a list of bangers that are lesser known in the MJ catalog. Here are a few I would love to share with you. If you don’t see your favorite B-Side send a comment and we can discuss. Most of the videos are fan made so i could actually share them with you, but the songs are super DOPE! FYI The videos will redirect to Youtube so Sony Music Group can get paid. THANKS YOUTUBE! Being a nerd has its perks. Big ups to The Rebel Club’s own Cr1k for putting me on to this one. Very creative sampling! @dalesmash is a big fan on it! Despite what many of us know about Rick James, he is still one of my favorite song writers and artists. We have Mary Jane and Superfreak, but the songs that resonated with me are songs like these. Please enjoy. Not much more to add aside from this! 2010 is OVER! Now we embark on 2011 and might i say that the last years music was refreshing! I found lots of new artist that made me happy about hip hop again. More organic artist entered the scene in the last two years and the new year promises to be one of good music. Who do you think will have a big year in 2011? What new artist are you looking forward to hearing more from. Here are a list of my new favorites! Once a part of the Young Money Movement. Spitta broke out on his own and attacked the underground with a slew of mixtape and features. Pilot Talk 1 and 2 dropped in 2010 and I copped BOTH! The JETS movement is gaining steam and making things happen pay attention! 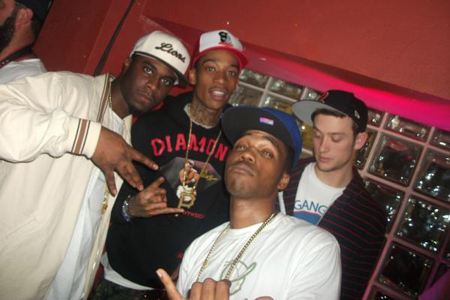 Pittsburgh player Wiz has been all over the place with his new single Black and Yellow but caught my attention with his How Fly Mixtape collab with Curren$y. The Kush and OJ mixtape released in 2010 is CLASSIC. I expect big things from him in 2011. The long beard emcee from the O-H-TEN, has been seen on Curren$y features as well as the 24 hour Karate School LP by Ski Beatz. His flow is aggressive and conscience but he sounds the best over smoothed out tracks. Stalley is nice! Take Heed! Imagine the vibrato of PIMP C (Rip) mixed with the lyrical prowess of Bun B and you have Big Krit. A new Mississippi artist that has carved a niche for himself and recently signed with Def Jam. Krit got that heat! And he does his own beats! The Midwest duo with the golden era sound! 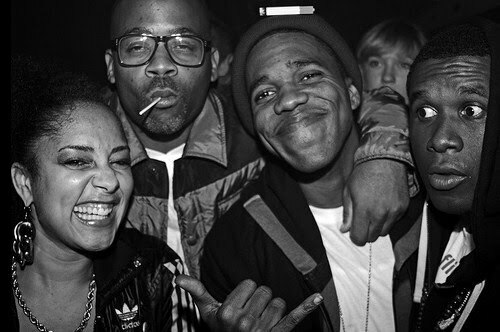 They remind me of a new era De La Soul. The Cool Kids have been around for a minute but have not gotten the attention they deserve. Lots of waits for the new album but i expect it to be well received when it finally drops this year. The Motown emcee has been seen all over the place in the last few months, getting most of the new attention after ripping the BET Hip Hop Cypher with his GOOD music crew. I expect alot from my homegrown! He has the comedic content of Kanye , the lyrical fortitude of a nas type, with the arrogance of Cam! What a winning hand !